Peruvians love chicken, they eat chicken with a special green sauce served with the so called “arroz verde con pollo” (literally green rice with chicken), this is a special dish made with a coriander sauce, chicken “chaufa” from the Peruvian-Chinese traditions, they loved stir fried chicken served with rice and French fries, they love chicken sandwich mixed up with mayo and veggie, marinated chicken wings and much more. 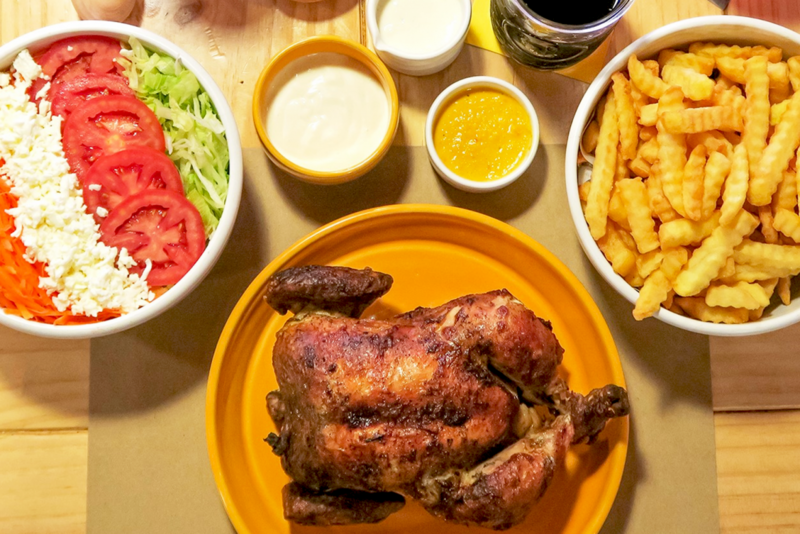 However one of the main way Peruvian love to eat chicken is the “pollo a la brasa”, which is the roasted chicken, usually served with French fries (actually fried Peruvian native potatoes, much better indeed) and a delicious salad with mayo based vinaigrette. 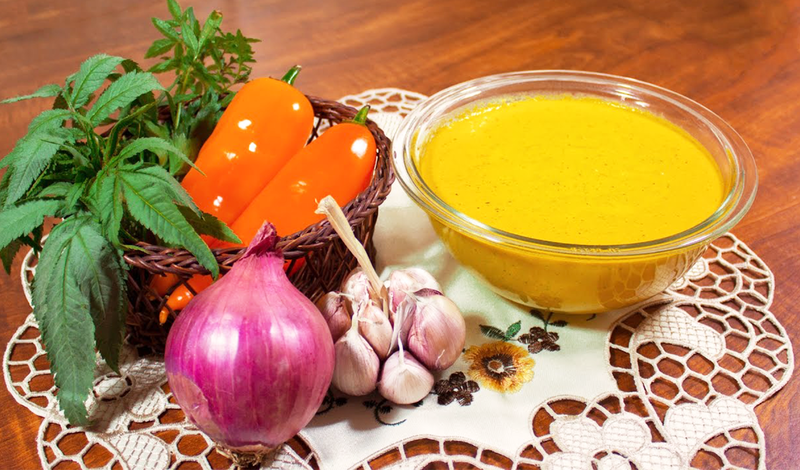 One of the main secrets to cook a delicious “pollo a la brasa” stands with the marinade, it is very important to prepare a tasty marinade made with Huacatay (a Peruvian herb, yellow aji pepper and aji panca). 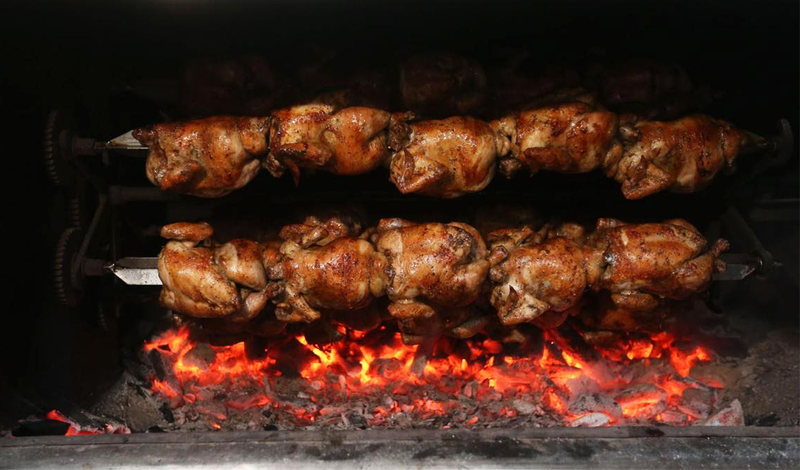 Other secret is the cooking method, you should use a special rotisserie stick over wood coals to give the chicken a special smoky taste. 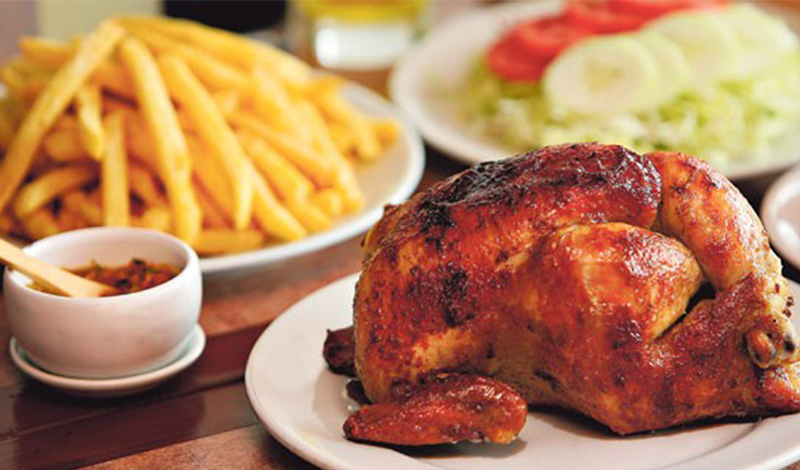 Don Tito Restaurant, located in several Lima’s districts: San Borja and La Molina. La Panka with restaurants in Miraflores, Surquillo, Barranco, Santiago de Surco, Magdalena, Jesus Maria districts. You can find this franchising restaurants mainly in the shopping malls. There is also a restaurant in Asia, an area at the south of the capital city, popular and extremely crowded during summer time when Limeños go to the beach. La Granja Azul restaurant located in Ate, a bit far away from Lima’s city center. 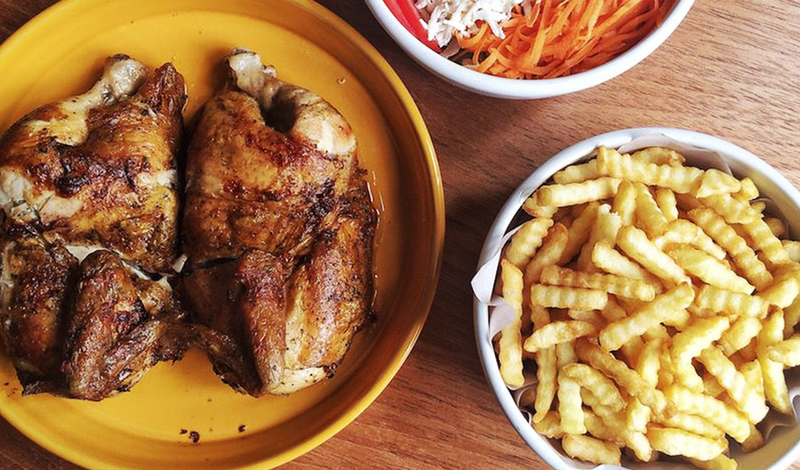 Primos Chicken Bar located in San Isidro district and Miraflores, very crunchy and tasty. 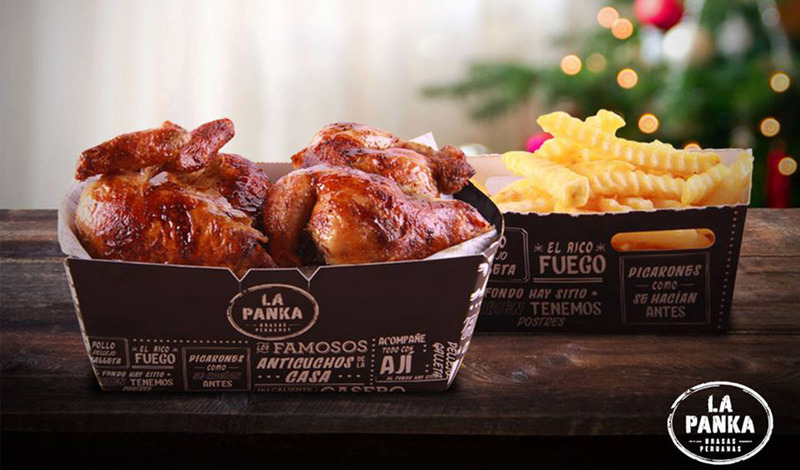 Pardo’s Chicken, this is a chain with many spots located around the capital city as well as in Peruvian provinces. 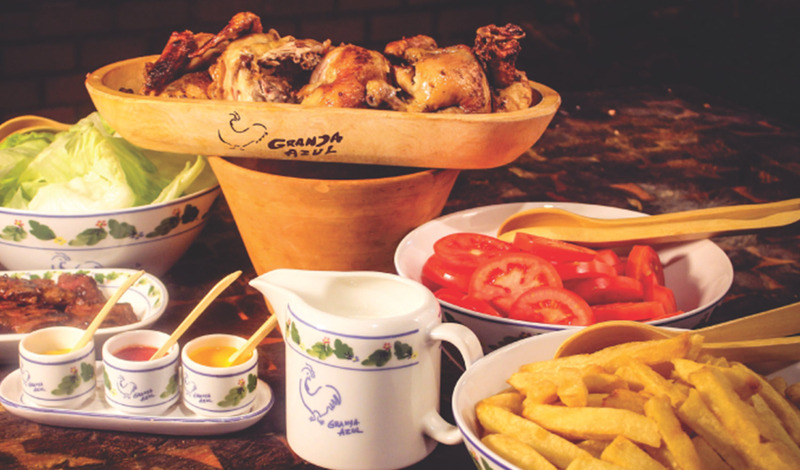 It is quite famous, and the classic “pollo a la brasa” is very yummy and juicy. 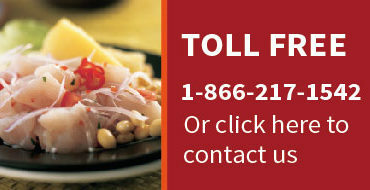 Here the recipe to cook a yummy Peruvian style “pollo a la brasa”. Mix all ingredients until you have a paste. Rub the chicken with mixture inside and out, applying paste directly to the meat wherever you can. Set aside to marinate for three hours. Meanwhile, prepare your grill with charcoal. 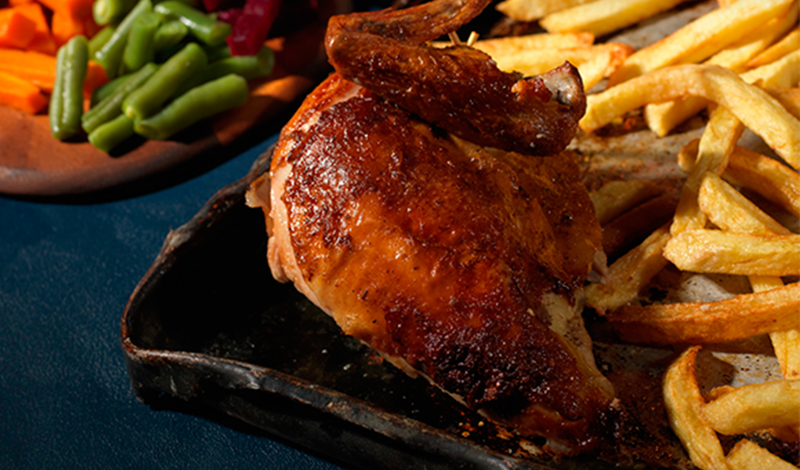 If you do not have a rotisserie grill, you will need to set up your grill for indirect grilling. Be careful not to “smoke” the chicken. 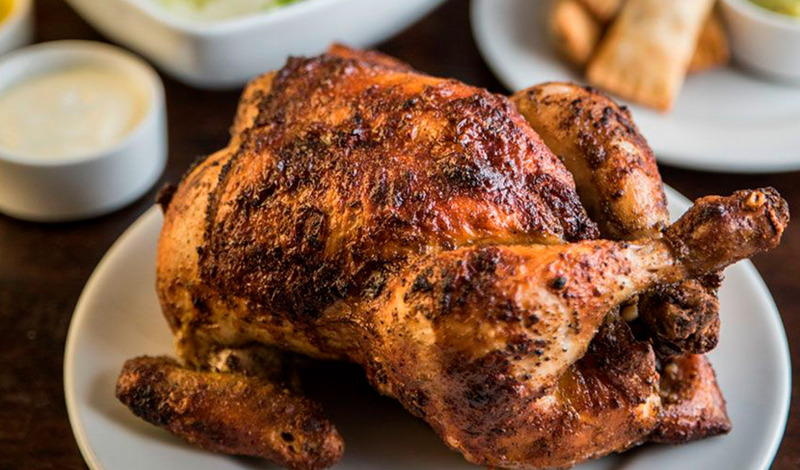 The best Pollo a la Brasa has a slight charcoal flavor but not smoky. Place the chicken over the fire and monitor closely until the skin is golden brown. It will take in a semi-open grill about 1 hour to 1 hour, 15 minutes at medium heat (180 – 200°F.) On an open grill it will take a little longer, and temperature must be between 200 – 240°F. Chicken should be about 12 inches away from fire at least. 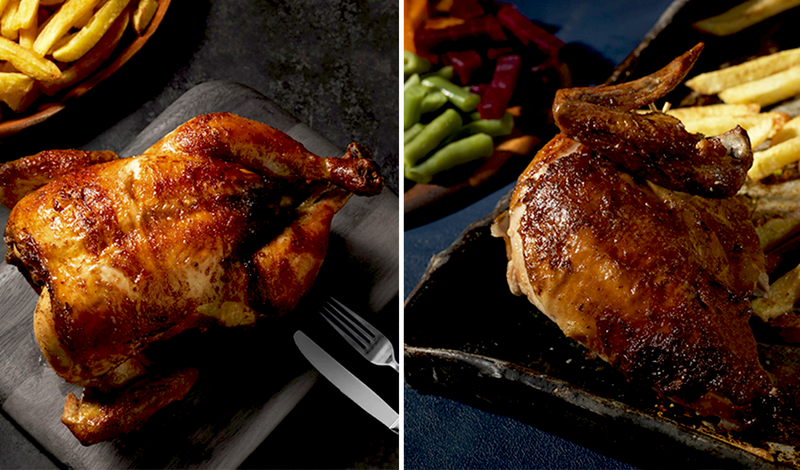 If you are using a rotisserie, you may want to have the coals closer. Remove the bird from the grill and place on a large cutting board when it has reached an internal temperature slightly over 170°F. Leave to cool for 10 minutes, then quarter the bird with a butcher knife and serve with ají sauce and any condiments you like. We recommend accompanying this dish with traditional fried potatoes and salad (lettuce, cucumbers, tomato, carrot, avocado, and anything else you like). To prepare the sauce, clean the ají peppers, remove the seeds, and cut into small pieces. Boil in water with sugar for five minutes, drain. Heat the oil in a pan and sauté the ají with garlic for 5 minutes. Add salt and pepper and blend with remaining oil until forming a smooth paste.